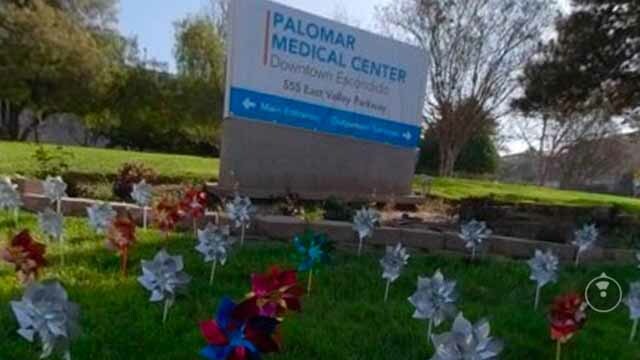 Palomar Health Forensic Health Services honored survivors of child abuse and sexual assault by placing 891 pinwheels Thursday on the lawn of the downtown Escondido medical center. Each pinwheel represents a child abuse or sexual assault survivor who was interviewed in 2017 by the forensic health agency, which works with law enforcement to complete forensic exams on survivors throughout the county. The display was timed to the start of Child Abuse Prevention and Sexual Assault Awareness Month.